Blue Bottle’s concept originally started in the 1600s in Vienna, but they didn’t launch their club until the early 2000s. This club is rich in culture and history, with a long-standing reputation for excellent bean curation. They select their own coffees with care, and roast in-house, controlling flavor at every turn. The Blue Bottle Club brings to you exotic coffees from around the world and you can test them out with a free trial. A coffee roaster that delivers fresh beans to subscribers in as little as 48 hours. Blue Bottle Coffee wants to take you on an adventure, but that doesn’t mean they lack variety. When you sign up, you can pick between Espresso, Blends, and Single Origin coffees. Once you select your family of coffees, they will send you coffees in that family. They also show you coffees that they have featured and you can pick which ones you want if you don’t like surprises. They give you tasting notes, so you know exactly what you’re ordering. Take the 17ft Ceiling, for example. This espresso features caramel and nutty notes. They also have their Giant Steps, which is fudgy and indulgent. There is decaf, but you would have to specifically pick the decaf options. If you pick from a category, then you have no control over what you receive. Overall, you’ll get plenty of variety with Blue Bottle Coffee. While they let you pick, you cannot specify certain preferences. That being said, that’s part of the excitement. They don’t offer iced coffee varieties, but this isn’t anything detrimental (since most clubs don’t). The only thing I don’t like is you have to either pick a coffee or family. All coffees are sourced directly from Blue Bottle Coffee and then roasted in-house. They ship within 48 hours of roasting, which is impressive. The origin of the beans will depend on which club you select. If you select a single origin, you will receive beans from all over the world, while blends and espressos are at random too. Roasts range from light to dark and depend on what plan/preference you pick. All bags are stamped with the date they were roasted, so you can compare the roast date to your shipment’s arrival date. Nothing. Blue Bottle Coffee roasts in-house, which means they are in control of every aspect of freshness. 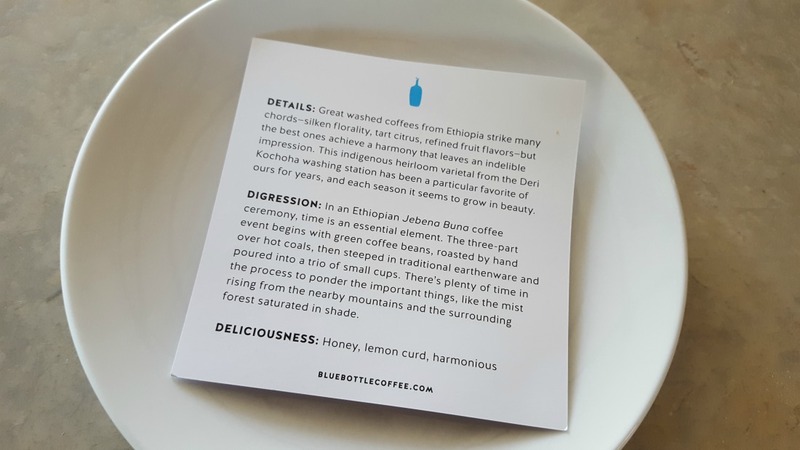 You can definitely tell the quality of Blue Bottle Coffee the moment you drink it. It’s fresh-roasted and the beans are in exceptional condition. 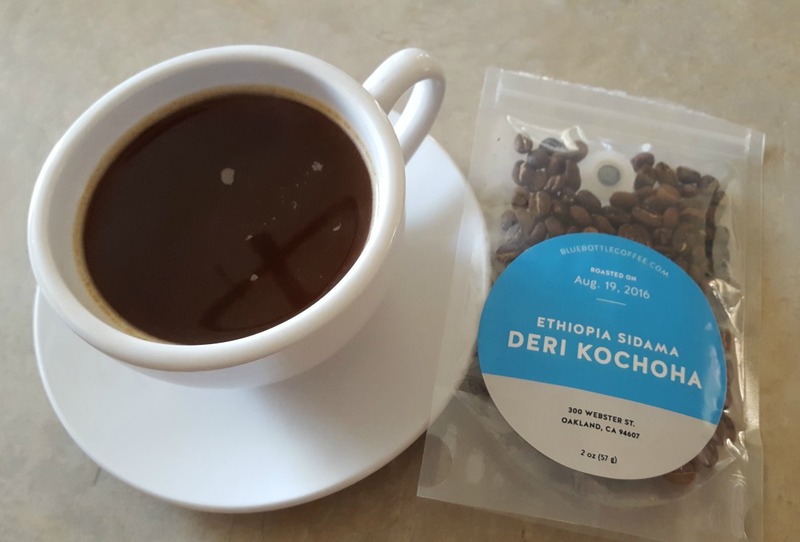 The variety I received was a washed coffee, and I wasn’t a fan of that particular single origin variety I received. That being said, others would probably enjoy it, especially those into washed coffees. This one was especially floral and fruity. It had some acidity, but it wasn’t bitter. My one worry is that Blue Bottle sends a lot of washed coffee for their single origin options — it’s a growing trend with these clubs. 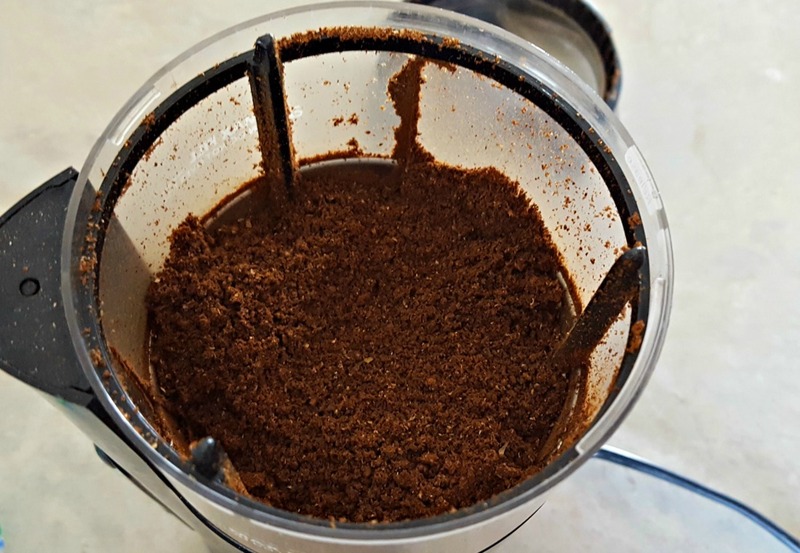 While there are plenty of people that enjoy washed coffees, there are an equal number that don’t. So, this could mean club members aren’t satisfied with their coffee options. 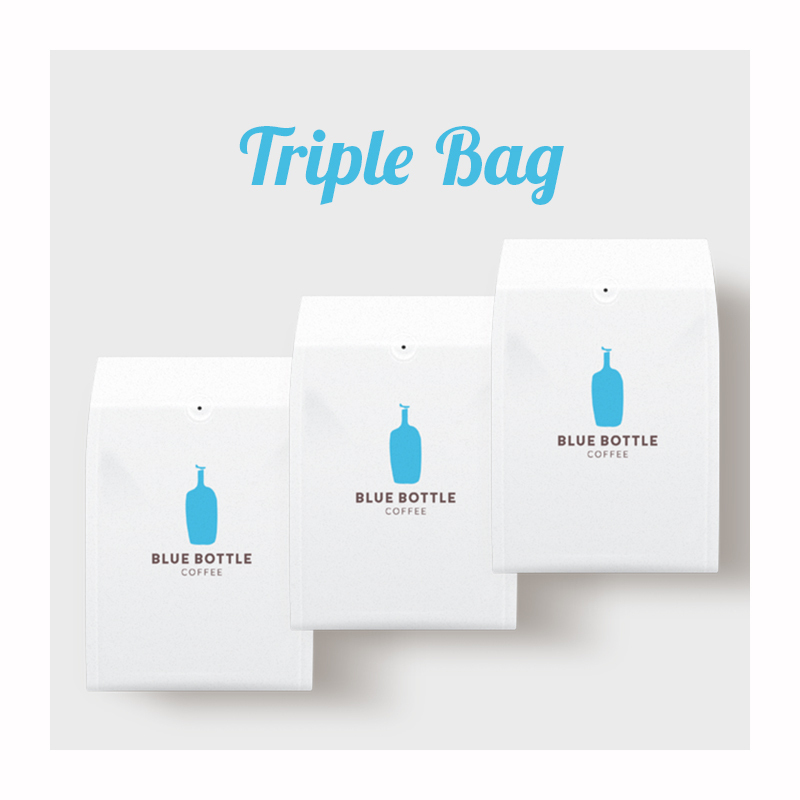 There are four options for the Blue Bottle Coffee Club: half bag, standard bag, double bag, or triple bag. Prices start as low as $7 per shipment and go as high as $37 per shipment. Price-wise, Blue Bottle is great. Their lowest priced membership is $7 for six ounces of coffee. Their highest priced membership is 36 ounces of coffee for $37. You can also change to a bigger or smaller subscription each month or as it suits you. Coffee can ship weekly, bi-weekly or monthly. Nothing. I’m actually quite impressed with the options for Blue Bottle. You get four different plans, they are all flexible, and they are affordable. There is a free trial with Blue Bottle. In fact, that's how we tried them out. You do have to cancel after the free trial though; otherwise, you’ll be charged for the next shipment. 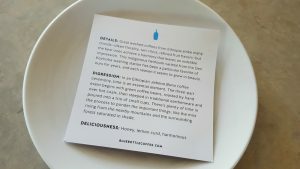 Other than the free trial, there aren’t a lot of perks worth mentioning from Blue Bottle. They don’t do anything that helps them stand out from the sea of other coffee clubs. Coffees are roasted and shipped within 48 hours. Blue Bottle offers free shipping with all subscription plans, but there is no expedited shipping for subscriptions (only separate purchases). You can pause and skip your membership at any time you want, and you can choose between weekly, bi-weekly, and monthly shipments. The tasting notes are quite extensive. 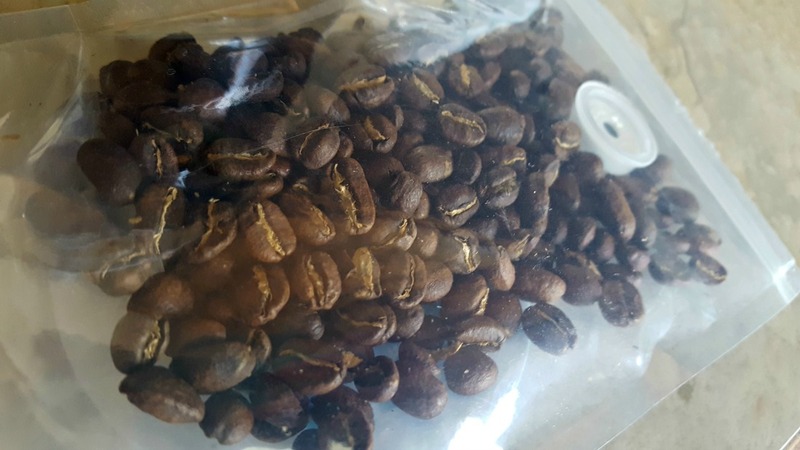 They tell you about the bean origin as well as the flavors you should get from the coffee. The packaging is nothing special from Blue Bottle. I received my free trial in an unmarked envelope (not even a box). I was disappointed that the beans were in a see through bag. That means they are exposed to light, which affects their taste. It was vacuum-sealed, but most clubs ship their beans in solid bags. 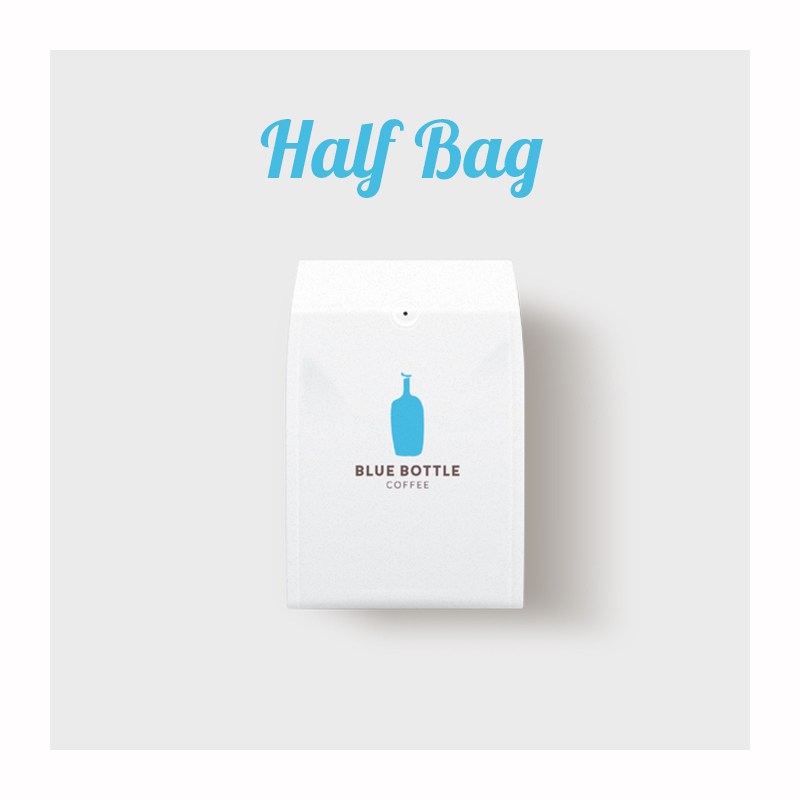 There are gift memberships with Blue Bottle. In fact, when you go to sign up, the first choice you make is personal or gift. Once you’ve selected gift, you will go through the same process, picking coffee categories or types, number of bags, and then shipping frequency. You can fill out a gift card when you checkout. It’s a basic card; nothing fancy. When you sign up for a gift membership, you must choose between two, four, or six months. They also have a “create your own option” that lets you choose from a half bag, standard bag, or double bag. But, you still must pick two months minimum. There is no special gift wrapping. Also, you must sign up for two months minimum. There is no one-month option. Blue Bottle has an attractive, informative website. There’s plenty to browse on their site and they do a great job of answering any questions you may have about their process, products, and subscriptions. There are brewing guides and they even have a blog. If you spent time browsing the entire site, you would walk away with a plethora of coffee knowledge. Nothing. 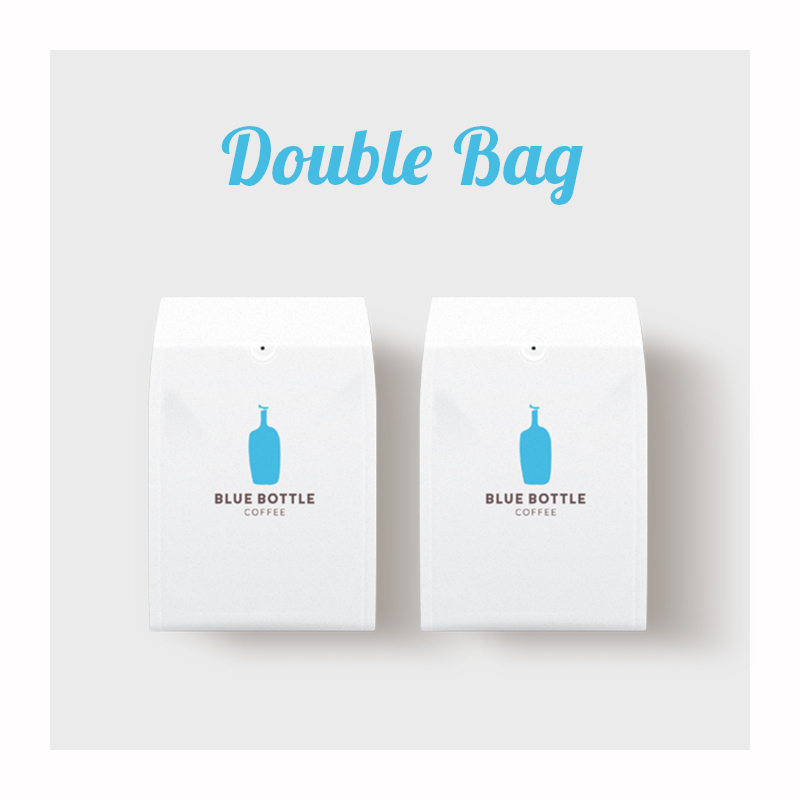 Blue Bottle has an easy-to-navigate site with tons of information. Blue Bottle has a local office number, email and social media for ways to contact them. They also have an extensive FAQs page. Blue Bottle’s customer service is excellent. I sent a message to them and they responded in less than 24 hours. There is no chat feature with Blue Bottle, but this isn’t uncommon with coffee of the month clubs. All plans come with free shipping. Free Trial: Includes a 2-ounce trial bag of whole bean coffee for free. Half Bag: Includes 6 ounces of coffee (about a one week supply for one to two coffee drinkers). Starts at $7 per shipment. Standard Bag: Includes one 12-ounce bag of coffee (about a two week supply for one to two coffee drinkers). Starts at $14 per shipment. Double Bag: Includes two 12-ounce bags of coffee (24 ounces). Starts at $26 per shipment. Triple Bag: Includes three 12-ounce bags of coffee (36 ounces). Starts at $37 per shipment. Blue Bottle works for a variety of coffee subscribers. You can sign up if you want single origin, espresso or blends. They deliver when you want your coffee, so you don’t have to worry about being stuck on a monthly shipment basis. Roasting In-House: Most coffee clubs acquire their beans from other roasters, but Blue Bottle Coffee is an actual roaster. So, they not only curate the beans, they roast them in-house. This puts them in control of the flavor, roast type and overall quality. 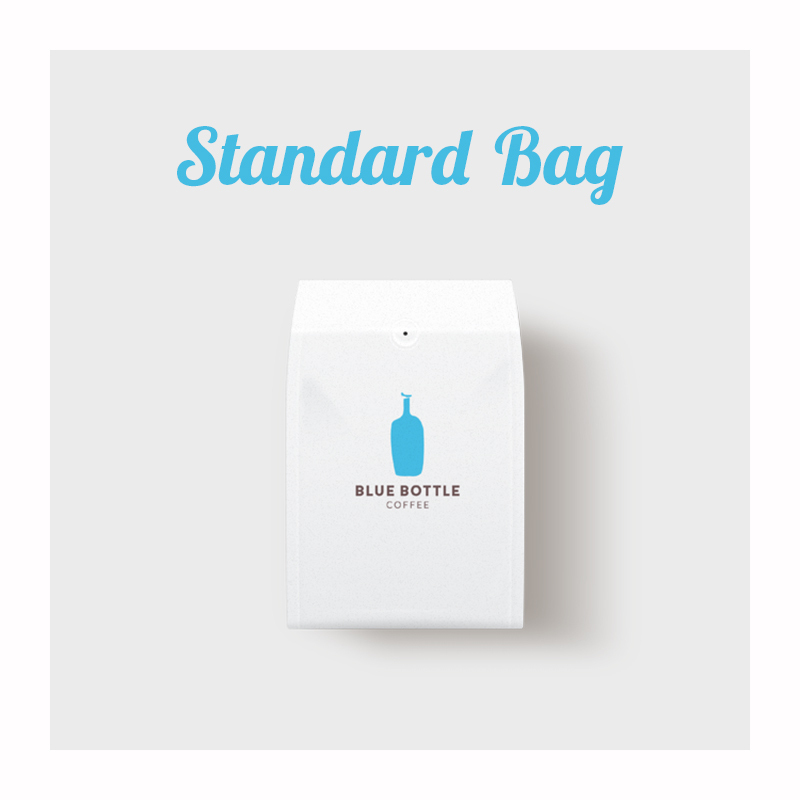 Free Trial: Blue Bottle is one of the few to offer a free trial and I always like to see these. That means they are confident in their product and willing to let you try it for free. There’s no strings attached and you can continue with the free trial or cancel. 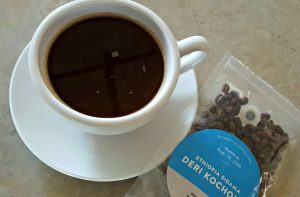 Category or Coffee: While they ask for your input, I don’t like how Blue Bottle requires you to pick a coffee category or a specific coffee and that’s it. It’s awkward and confusing. They should have it one way or the other. You can, however, change your preferences at any time. So at least they have that. Gift Membership Minimum: While you aren’t bound by minimums as a subscriber, you are if you order a gift subscription. You must choose a minimum of two months and then pick in increments of two months or more from there. So, you cannot gift three months or even one month. I never like to see a company lock gift givers (or subscribers) in. Overall, Blue Bottle Coffee has a great club for those who like variety and want a little say in what they’re getting. While they have a few areas where they could improve, it is still a club we’d recommend for those looking to try new coffees. A club is rich in culture and history, with a long-standing reputation for excellent bean curation. Blue Bottle selects their own coffees with care, and roast in-house, controlling flavor at every turn. They bring you exotic coffees from around the world and you can test them out with a free trial.